Photo challenge: share what you see on the inside. 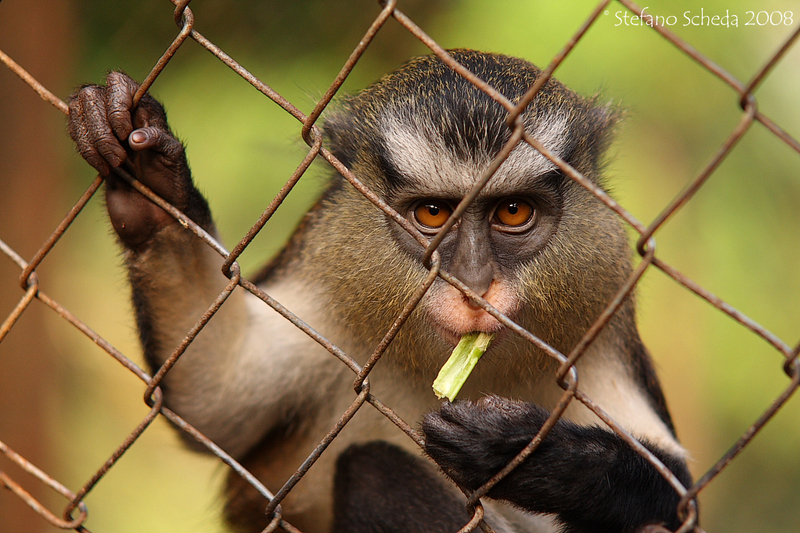 Limbe Wildlife Centre – Limbe, Cameroon. Thank you, Rick! The light was quite good while shooting; late afternoon. Beautiful, this image pulls you in! You have captured its fierce stare excellently. Longing for freedom and its natural habitat. Merci, Jul 🙂 Thanks for inviting me to the contest. Triste y desafiante a un tiempo….Parece casi humano! Fantástica luz! Poor little fellow .. this shot can’t get any better.